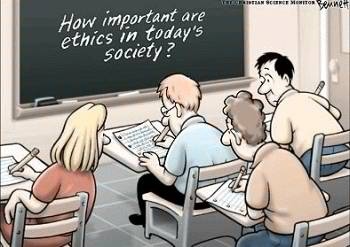 When it comes to ethics, everyone seems to have their own definition of what is ethical and what is not. What is completely ethical to one person may be completely wrong to another person. What is your ethical evaluation criteria? How do you determine if your behavior is ethical or not? The civil engineering code of ethics helps engineers decide how they will act as they do their work. It helps them know how to respond to different situations as they arise. At the same time, the code develops trust in engineering customers. If companies create their own set of ethics, it will have the same effect employees, leaders, and customers. Do you have an ethics code at your organization? What impact does it have? Please share your thoughts and comments in the comments section below! In a world of standards that continue to drop, it is nice to see someone who still sees the importance of ethics. It’s not just the laws that set our ethical standard, it’s our morals and values that are set higher than the law. Great post!